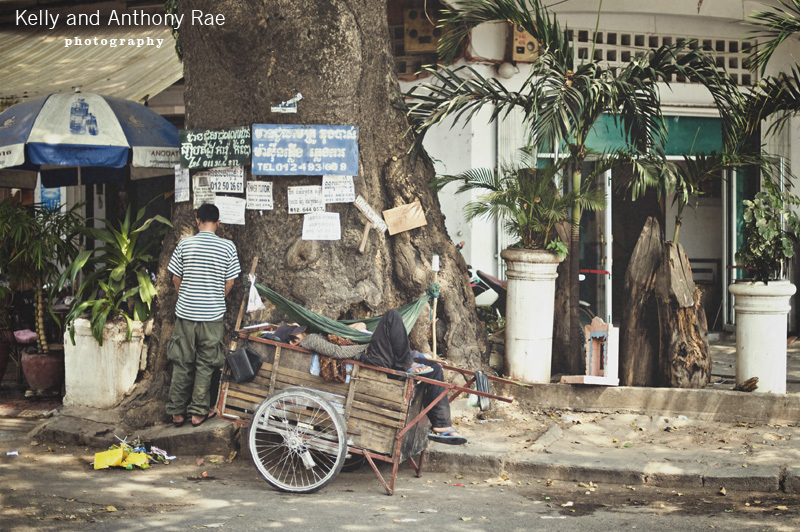 A not so uncommon sight in Phnom Penh are men using trees, walls or anything else as public toilets. I think it’s because a lot of people live on the street and work on the street rather than in buildings, they use the closest available tree or wall. Pros and Cons of using trees and walls as public toilets. Are those wet patches on the ground, water or something else? Also in the photo, note the man and his child sleeping in the rubbish cart.